Here is a special posting, a review written by frequent guest critic and writer for this blog, John W. Barker. Barker (below) is an emeritus professor of Medieval history at the University of Wisconsin-Madison. He also is a well-known classical music critic who writes for Isthmus and the American Record Guide, and who for 12 years hosted an early music show every other Sunday morning on WORT-FM 89.9. He serves on the Board of Advisors for the Madison Early Music Festival and frequently gives pre-concert lectures in Madison. 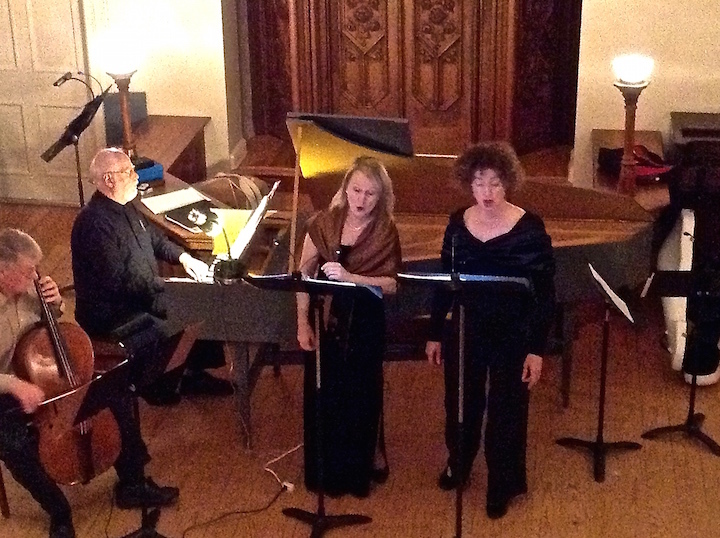 The Wisconsin Baroque Ensemble (below) opened its new season in Madison with a fine concert at the Gates of Heaven on Saturday night. As always, the program was varied in contents and in performer involvements. Running as a thread throughout was the artistry of University of Wisconsin-Madison School of Music professor and soprano Mimmi Fulmer (below center left, in a photo by John W. Barker) and mezzo-soprano Consuelo Sañudo (below center right), a familiar team. At intervals, they sang a pair of madrigals by Girolamo Frescobaldi (most familiar as a keyboard composer); an extended setting by Marc-Antoine Charpentier of the Miserere Psalm, with concluding lines added from the Lamentations of Jeremiah; and an Ave Maria by the really obscure Dutch composer Benedictus Buns (c.1642-1716), also known as Benedictus a Sancto Josepho. 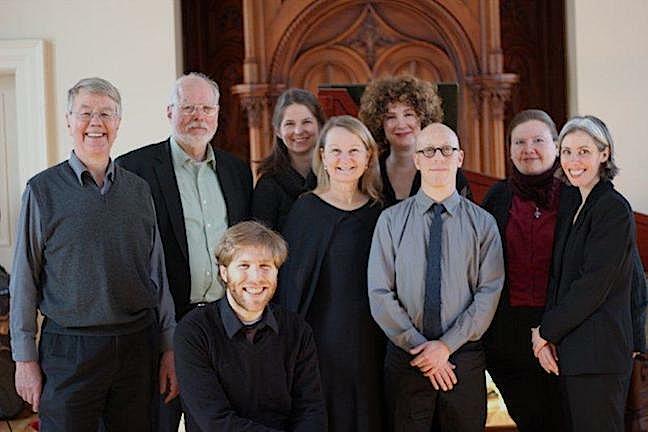 The instrumentalists (Nathan Giglierano, Mary Parkinson, violins; Brett Lipshutz and Monica Steger, flutes; Eric Miller, gamba; plus cellist Anton TenWolde and Max Yount, harpsichord, as continuo) joined with them variously as appropriate, to lovely effects. At one extreme of texture, violinist Perkinson, supported by continuo, played a richly demanding sonata by Johann Heinrich Schmelzer. 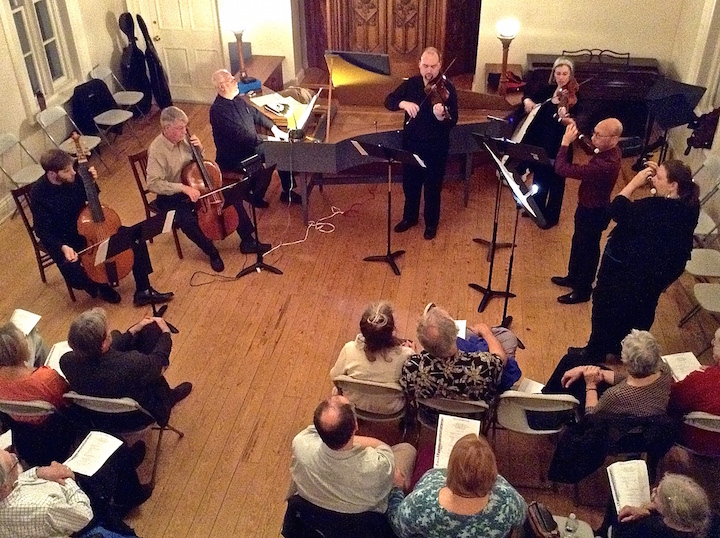 At the other extreme, all the players joined in for a vivacious finale with excerpts from the Suite in E minor from the first book of Georg Philipp Telemann’s Musique de Table (Tafelmusik) anthologies. Fabulous Late Baroque music, fabulously played! The WBE has been giving these concerts for the past 18 years. They continue to be unpretentious but thoroughly satisfying programs of Baroque chamber music in an appropriate chamber setting. Long may they continue! 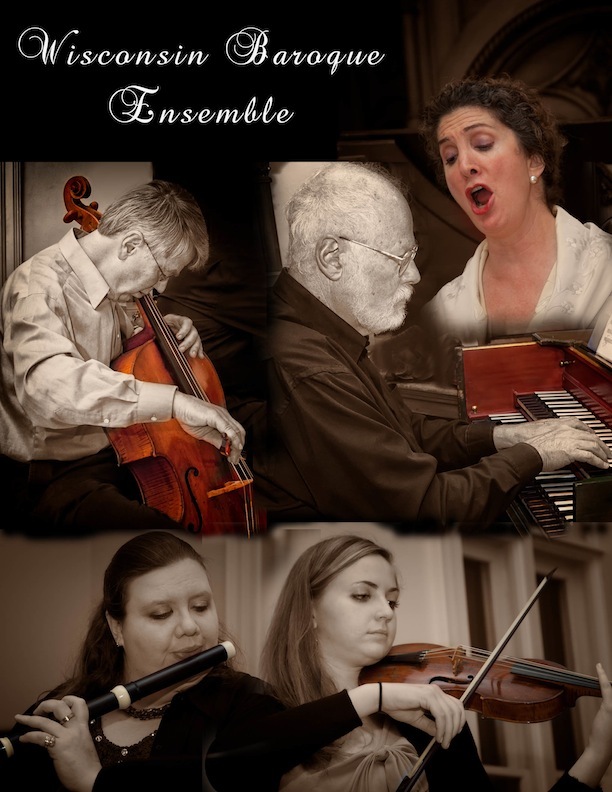 The group’s next concert in Madison will be on Sunday, Nov. 29, at St. Andrew’s Episcopal Church. Yang is an amazing pianist.